Tempera with stucco metallic leaf reliefs and on a wood panel. 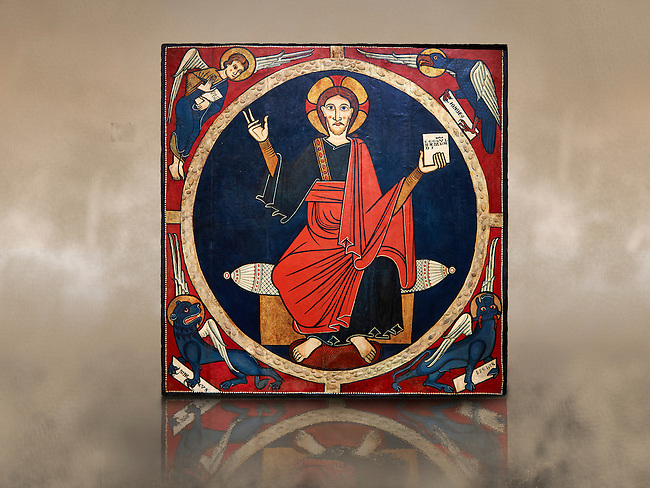 The wood panel comes from altar of St. Martin de Tost and shows Christ Pantocrator surrounded by the symbols of the four evangelists, St Matthew the man, St Mark the lion, St Luke the ox, and John the eagle. The Tost panel is typical of the Catalan Romanesque painting.